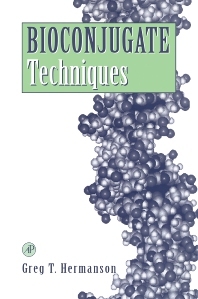 Bioconjugate Techniques is the essential guide to the modification and crosslinking of biomolecules for use in research, diagnostics, and therapeutics. It provides highly detailed information on the chemistry, reagent systems, and practical applications for creating labeled or conjugate molecules. It also describes dozens of reactions with details on hundreds of commercially available reagents and the use of these reagents for modifying or crosslinking peptides and proteins, sugars and polysaccharides, nucleic acids and oligonucleotides, lipids, and synthetic polymers. Armed with this information and the abundant protocols provided, readers will form unique complexes that can be used for detecting, quantifying, and targeting important analytes. This book helps readers make: high activity antibody-enzymes conjugates, immunotoxins, immunogen complexes, liposome conjugates; as well as biotinylated molecules, avidin or streptavidin conjugates, colloidal gold labeled proteins, PEG or dextran complexes, labeled oligonucleotide probes, and fluorescently tagged or radiolabeled molecules. Researchers in biochemistry, molecular biology, immunology, pharmacology, cell biology, and microbiology will be interested. Bioconjugate Chemistry: Functional Targets. The Chemistry of Reactive Groups. Bioconjugate Reagents: Zero-Length Cross-linkers. Homobifunctional Cross-linkers. Heterobifunctional Cross-linkers. Trifunctional Cross-linkers. Cleavable Reagent Systems. Tags and Probes. Bioconjugate Applications: Preparation of Hapten-Carrier Immunogen Conjugates. Antibody Modification and Conjugation. Immunotoxin Conjugation Techniques. Preparation of Liposome Conjugates and Derivatives. Avidin-Biotin Systems. Preparation of Colloidal-Gold-Labeled Proteins. Modification with Synthetic Polymers. Enzyme Modification and Conjugation. Nucleic Acid and Oligonucleotide Modification and Conjugation. Subject Index.